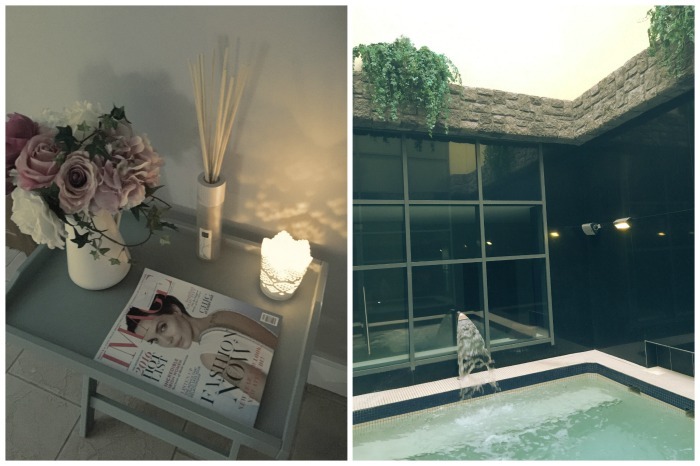 Hosting a bloggers' day out was a clever move by the Spa at The Heritage Killenard. 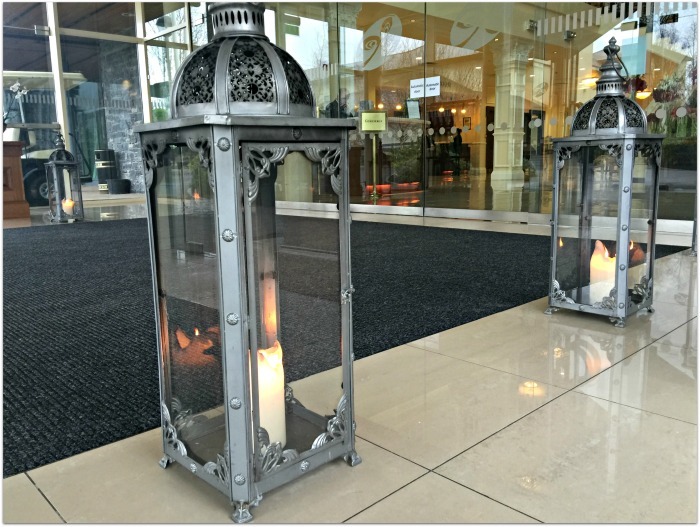 Over treatments and afternoon tea, we not only got a great taste of the facilities, food and general vibe of this five-star property in Laois, but we kinda fell in love with everyone we met there, too. Eva, the Spa Manager, is a dote. Not only is she incredibly good at her job (and very experienced, too, having come from Monart), but she’s lovely company. In fact, everyone we met was lovely, from the charming American co-owner, Robert, to his very pleasant, engaging PA, Eimear and the attentive Raul in the spa, and it wasn’t because we were a bunch of bloggers – it was because they really like their job and are proud of their hotel, and it shows. So the quality of the staff and the service sets this place apart. The other thing that struck me was the general standard of facilities in the spa. There’s a tranquil, luxurious vibe and, from the flickering candles, fresh flowers and abundance of clean towels for guests’ use right through to the very fancy-pants foot baths, the Spa at the Heritage is a class act. I’ve rarely been in a spa I haven’t liked, but I haven’t been in many that I’ve loved – and I loved this one. 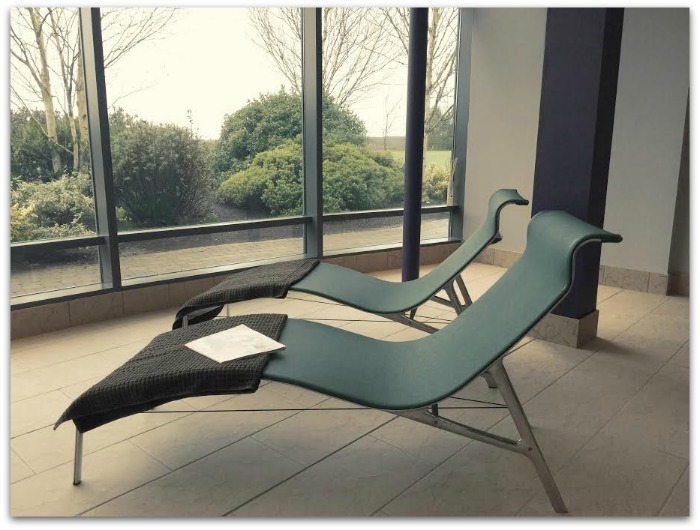 At 7000 square feet, the thermal suite is one of the largest in Ireland, with all sorts of heated and cooling rooms and facilities. Excitingly, my favourite part – the open air hydrotherapy pool – is actually due to be upgraded, and I can’t wait to see the results. Treatment wise, I had the Heritage Signature Massage which is pretty much my idea of heaven: two full hours of tension-busting moves that literally spanned from head to foot. The pressure was perfect and this really worked wonders on the niggling little aches and pains I seem to have constantly in my back, shoulders and feet these days. 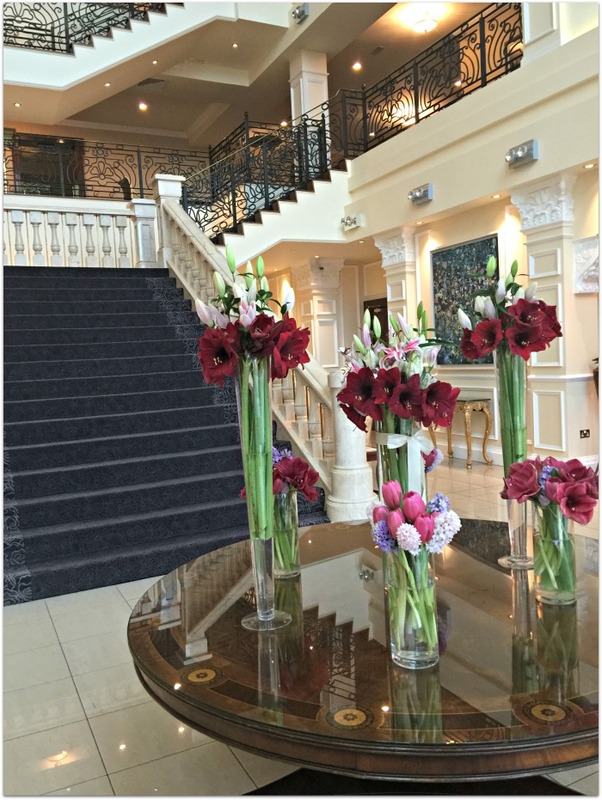 Then it was on to the hotel for afternoon tea in the elegant, classically styled Lobby Lounge. 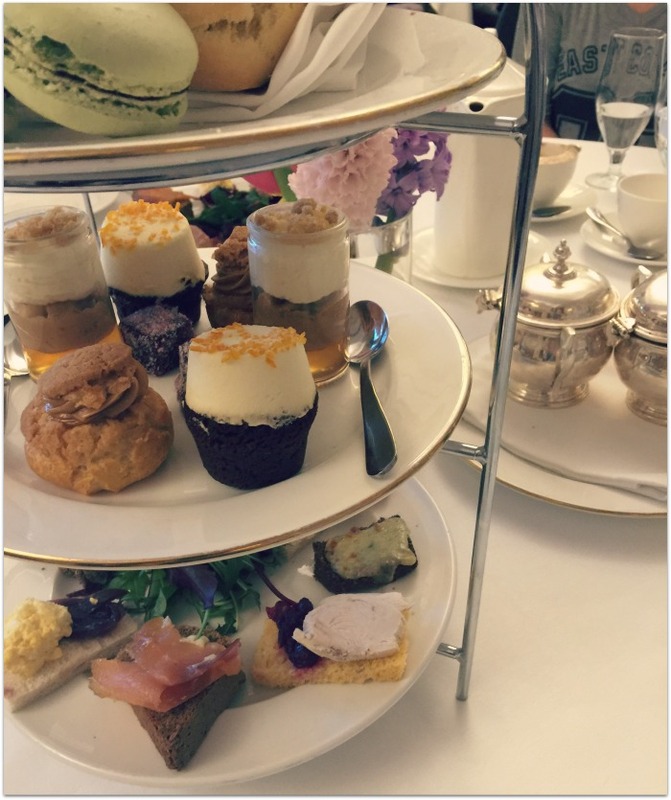 Always a decadent treat, the tea at the Heritage did not disappoint; particular highlights were the rarebit, with mature Irish cheddar on Guinness bread, and the macarons. Priced at €25 pp (though we were guests of the hotel this time), this is an affordable little slice of luxury and one I’ll definitely remember for my next family occasion, or day out with friends. It was a lovely experience and one I’m most impatient to repeat. Keep an eye on the hotel’s special offers on their site.